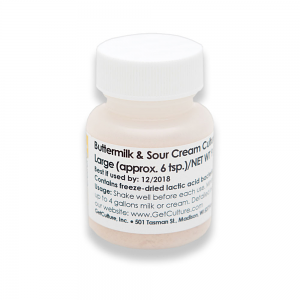 Buttermilk/Sour cream culture blend. Produces a sour cream or buttermilk with a smooth creamy texture and effervescent taste and aroma. 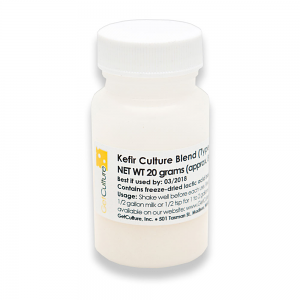 The Kefir C kefir blend is a selected blend of cultures that produce foamy kefir.